NEW ITEM - Full info coming soon! 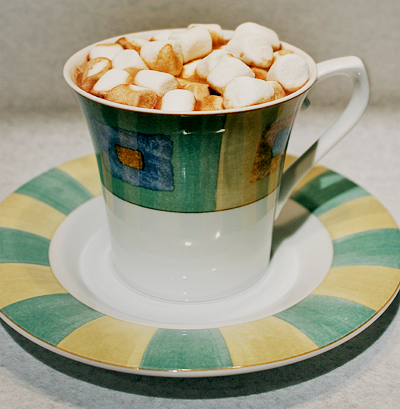 Creamy, rich and delicious, and topped with marshmallows. Mmm! This recipe has been passed down to each generation with my husbands family. This is the best hot chocolate you will taste. When introduced to this and then to my family and friends it is a must have in the house when the weather starts to get nippy, and we can’t keep this in stock. After talking to my husband about the love our friends and family had for our hot coco, my husband and I decided to share the love with everyone. This will also be available in the near future at Trails Gallery in Topeka, KS, and available for shipping. Price and available size will be available soon.